Since 1996, Eduloan has delivered financial solutions to South Africans looking to further their education, no matter the level of tuition. 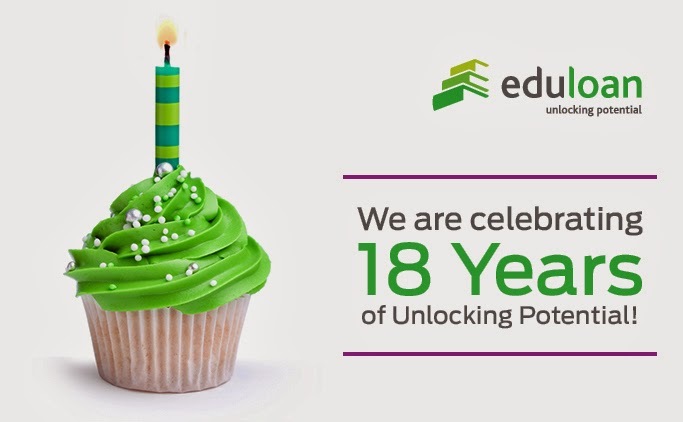 March 28, 2014 marks our 18th birthday, allowing us to celebrate the more than 720 000 study loans to the value of over R3.7 billion that we have awarded to South Africans looking to further their education. Eduloan remains the leading education finance specialist offering loan solutions to students – whether it is school, college, technicon or university. We understand the real cost of education and because of this we extend loans to students who require funds for textbooks, accommodation, study-related equipment as well as laptops or tablets. Fund and bursary management has also evolved through the introduction of our Eduxtras solution. We pioneered the smartcard solution – geared to help students manage their bursary funds while the bursar has peace of mind that the funds are being allocated and spent as intended. Funds are loaded into pockets for accommodation, books, study-related equipment, food and tuition (or customised pockets depending on what your bursar specified) and can only be spent on the intended purpose. In the past 18 years we have also assisted employers by providing accessible education finance to their staff. Eduloan has a long standing partnership with government and institutions which allows government employees easier access to obtaining a loan. Similiarlee Eduloan has applied the same model to corporates for their employees. Dedicated to providing educational finance and bursary fund administration solutions, we pride ourselves on being the only financial company solely focused education. We commit to innovate more solutions to unlock even more potential in South Africa.